South Korean President Moon Jae-in on Wednesday ordered the dispatch of an emergency relief team to Laos where heavy rains have led to the partial collapse of a dam built by South Korean firms, leaving hundreds missing and displacing thousands. "President Moon instructed the government to come up with strong support measures, including the dispatch of an emergency relief team, to Laos," Moon's spokesman, Kim Eui-kyeom, told a press briefing. 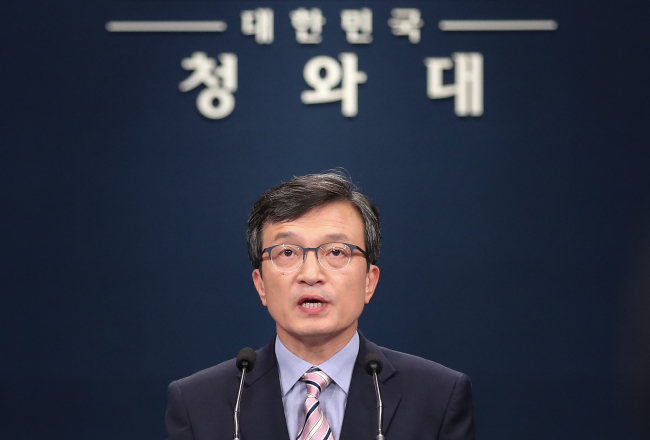 The details of Seoul's government support measures, including the size of the relief mission, will be decided at a meeting to be held later in the day, involving vice ministerial officials from related offices, the spokesman said. Hundreds of people are said to have gone missing while more than 6,000 others have been displaced, according to earlier reports. Still, Moon's order comes amid a dispute over what may have led to the disaster. Local newspapers have suggested the collapse of part of the dam built by a South Korean consortium, led by SK Engineering & Construction, may have led to the flood while the South Korean builder insists unexpectedly huge amounts of water had flooded over the dam, leading to the partial collapse of the dam. The South Korean president said identifying who might be at fault can wait. "They are currently working to identify the cause of the accident, but the government must immediately take part in the emergency relief efforts since our companies are also involved in the construction of the dam," he was quoted as saying.